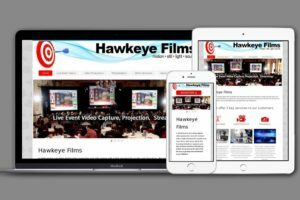 Hawkeye Films - Video Production | Photography | Websites | Digital Marketing | Business Promotion | Advertising | Kitchener-Waterloo | We offer a broad list of visually creative media services for the business market. 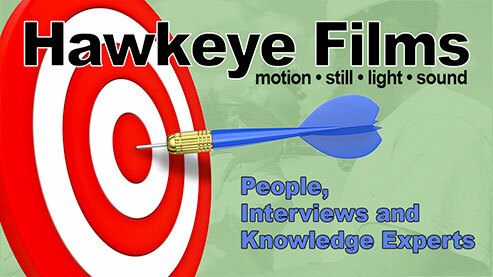 is a Kitchener-Waterloo based video production company that provides a number of business promotion services designed to improve your marketing efforts. We are image makers that excel at video production, still photography and digital media materials and advertising content with the highest standard for quality and clear focus. When it comes to promoting your strengths we take great interest in your abilities. We are fascinated by your process and passionate about sharing your story with your audience. We worry about the technical details of building your message so that you can focus on the tasks that make your business great. You can trust our 25+ years "in the biz" savvy to get things done and delivered to your satisfaction. Our philosophy is to always go the extra mile and give our customers more than they expect!. Nothing is impossible or out of the question until the final moment has elapsed. We offer a number of key production services. 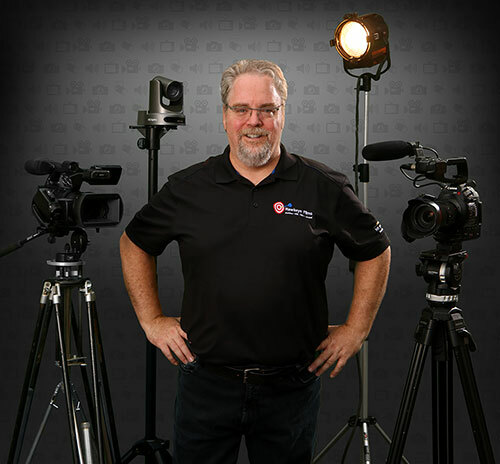 When it comes to telling a story or capturing footage from multiple locations and spread across a period of time then traditional video production is the way to go. We have more than 25 years experience telling many stories across various sectors of industry. We have recently developed a live switch multi-camera video package that can include live video streaming and projection for your live event needs. 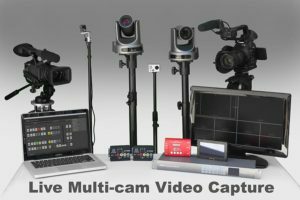 This offers significant savings compared to traditional single camera video production and the added expense of post production. With the advent of digital photography we have added still imaging as part of our standard portfolio of services. 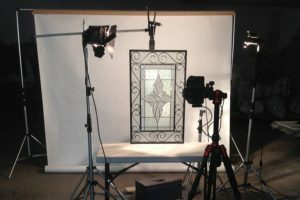 We focus on capturing images that are useful for deployments on websites and print marketing. Product, facility, industrial and arts are among the topics we favour. We specialize in giving businesses a profile boost who haven't taken the steps to properly promote their offerings online yet. Our sites are visually engaging and clearly demonstrate the benefits of our customers products and services. 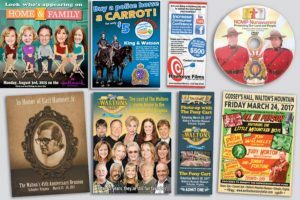 We offer a variety of graphic and print design solutions including the creation of social media graphics as well as print material. Our focus is to create engaging visuals, a skill that incorporates multiple disciplines. 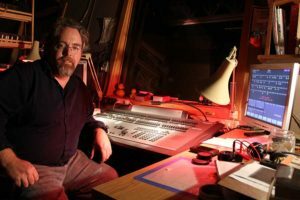 Over the years we have used that experience to provide a variety of other focussed services for various clients including stage lighting, graphic design, print and more. People, bring your videos to life. When it comes to filming people we thrive at calming nerves and making people look their best. 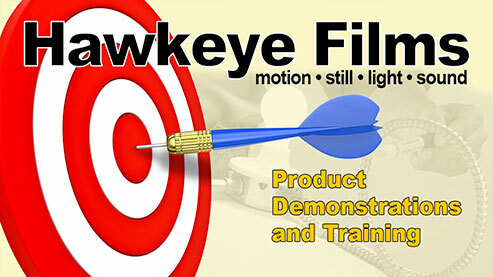 Whether it is for training, education, marketing, testimonials, on-camera hosts, knowledge experts etc. We always have fun sitting down or standing with the talent who know their stuff and willing to share their views and knowledge with their audience. Taking long winded interviews and reducing it down to golden nuggets and tidbits of wisdom is a skill we’ve honed over the years. We also work with tele-prompters to help the presenter when the words just don’t flow as easily as desired. We love getting dirty, so your customers stay clean. We have more than 25 years experience filming manufacturing processes, everything from automated assembly lines for the likes of Automation Tooling Systems and Priority One Packaging to auto parts manufacturers like NARMCO, Linamar, Van-Rob, and Electromac; dirty environments like Canada Alloy Castings, Patriot Forge and Precise Castings; and many window manufacturers like WindowCity, Strassburger Windows and Doors, Rochman Doors, Magic Windows and Lifestyle Sunrooms; plus dozens of other companies that have promoted their processes with high quality video production. It’s one thing to make a great product, it’s another to promote it. We have helped numerous companies like auto manufacturers, furniture makers, window companies, real estate developers etc. promote, demonstrate and distribute their products to their customers. A selection of TV ads. At some point, businesses may need to spread the word to a broad audience. This is where TV advertising is still a viable tool to increase sales. We have made ads for car dealerships, furniture stores, appliance stores, clothing retail, festivals & events, real estate developers, community news, legal firms, financial advisors etc. We are YOUR solution for clear communications. The time to promote your brand is always RIGHT NOW. Keep in the fore front of your customers minds and stay relevant with visual proof that highlights your capabilities and message. Video has become the number one means of communication on the internet. 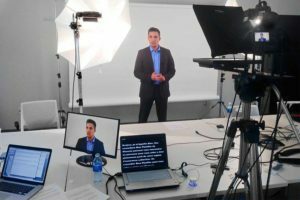 More so than any other time, showing your customers what you mean with a high quality video production will attract more attention and interest than any other sales tactic. 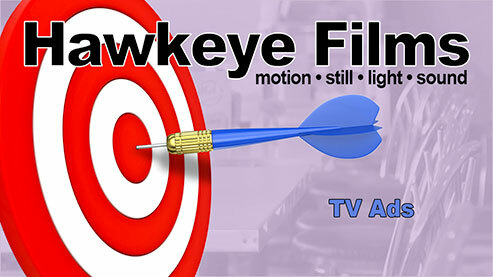 We are a growing production company that has been serving the creative and technical needs of business clients, community groups, artists, and various communication experts and video producers for more than 25 years in the Kitchener-Waterloo Region and beyond.